As is to be expected, we are picking back up where the last episode of The Council left us. 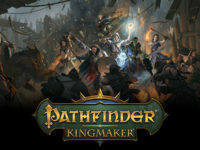 No spoilers here, but it all leads up to another level of intrigue and investigation as it has become time for the meeting we were all brought to the island for. Louis is taking the seat for his mother and country to help discuss how plans should move forward. Plans that could have a huge impact on the world and not just the characters in the story. At least in this possible view of how the events that did transpire could have been planned. But can we deviate from what is already set in stone..? 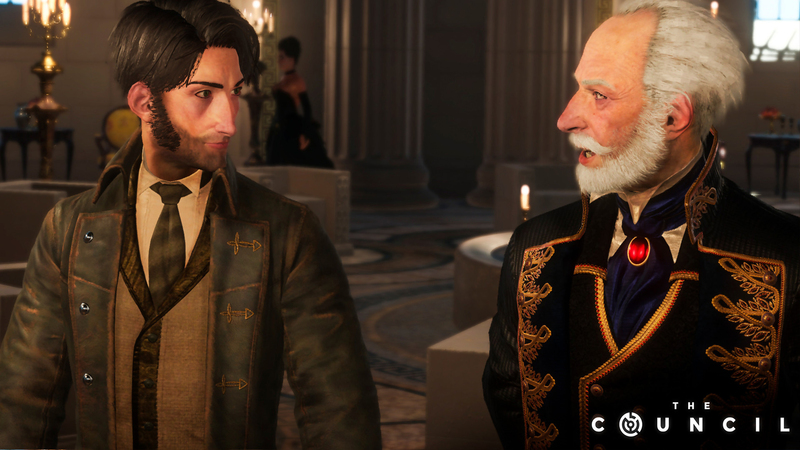 It is going to sound a little weird here, but in this episode of The Council it felt like there was a lot more filler conversations than actual conversations that led to anything. Even when caught in places during investigation sequences it felt like the conversations were more “hey, you shouldn’t be here, but I’ll forget you broke the rules in a moment” than “hey, you shouldn’t be here and now you have some explaining to do to sway my thoughts.” It all felt out of place from what we have experienced in The Council to date and it felt like it was just to build to a tension that Big Bad Wolf will never use. None of these events even had meaningful choices to be made. Just something to slow things down so we did not focus on the true task at hand. More or less, when playing it again this will be the “speed run” episode so I do not waste time on needless filler. 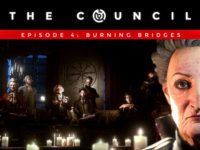 Another thing that caught my eye, but is in no way game breaking, is the fact that the dialog in this episode of The Council never synced up with any of the captions that followed along. Given some of the language and verbose nature of the characters I play with subtitles turned on so I do not miss a thing. On more than a few occasions though I would see the dialog play out for a different scene in the subtitles than what was actually being said. One of which being a major choice. Thankfully, it was only in terms of the text and the choices I did make in the game played out as I aimed for, but I could only imagine a player wanting to see Louis say “yes” to something but read that he is saying “no” to it. At least for those who are hearing impaired and trying to enjoy it all. It looks like my words were noticed by Big Bad Wolf when it came to the last episode of The Council as one big issue I had was fixed. At least it felt or seemed fixed in the game as you are no longer penalized between episodes or chapters when it comes to your abilities. It looks like we are now getting a slight refresh in between to make sure we are not starting a story section off completely hosed in terms of actions available. Before, if you ended with only one point of focus left, that is where you started even if it led into an intense scene. Now it looks like we are getting one or two points back so we can at least attempt some of our word kung fu in The Council. Not too much and not nothing at all. It feels like the correct balance and made for a greater gaming experience for me. 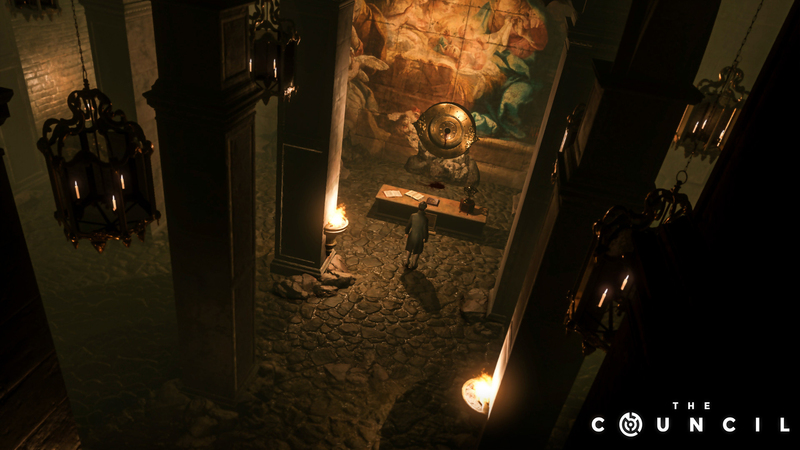 To that note, it also looks like The Council: Ripples is where our main class and skill focuses are coming into play. Not that they did not before, but it felt like I had a clear advantage in one place given all of my focus on skills and being an Occultist while having a disadvantage in others due to my lack of focus there. 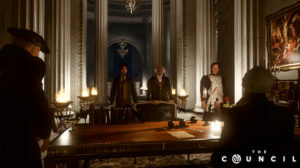 It always came up in smaller ways during the past episodes of The Council, but it all felt like it came to a true head here or they figured the best way to let us shine and fall because of our choices. This only pushes the genre and gameplay further even more and as I said the first time around, I hope more developers take note of this. They are almost to a perfect place with it all here and I cannot wait to see how it moves forward in the future. Lastly, we are also treated to one of the weirder of plot-twists in The Council so far and it is starting to make things feel like they make sense from the beginning. It may sound odd to say given that we are now three episodes deep, but I do not want to spoil the story so far with how this new twist comes in. It definitely makes some of those odder aspects of the game feel like they were not just there for the “oddness” factor. It also makes you wonder if it is a true thing to look at or just something built up the minds of those not fully participating in The Council. 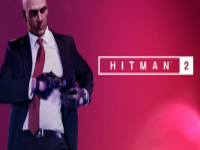 The in-game one and not the game itself. I am even more intrigued by the story here and cannot wait to see how it finally all plays out. Every big season has a filler episode and The Council: Ripples definitely feels like this is it. Unless all of those side conversations were also tracked and will have some impact, it felt like we could have just stayed completely on task the whole time and ignored a good chunk of the dialog. 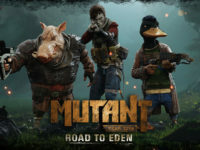 After to look past that, you can see where some of the gameplay improvements are starting to shine in the game and how more of our choices are starting to matter here. All the way back to our starting class and skills. That part was extremely well done here in The Council and I hope it is not the last we see of these improvements. I still stand by my original word of getting in on the game while it is still ongoing. That is unless you get lost in massive stories too easily. Then I would say to wait so you can play it all in one sitting. I give The Council: Ripples 5 Required Keys on the Required Key scale. 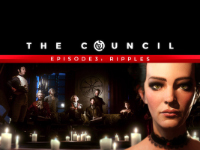 The Council: Ripples was developed by Big Bad Wolf. 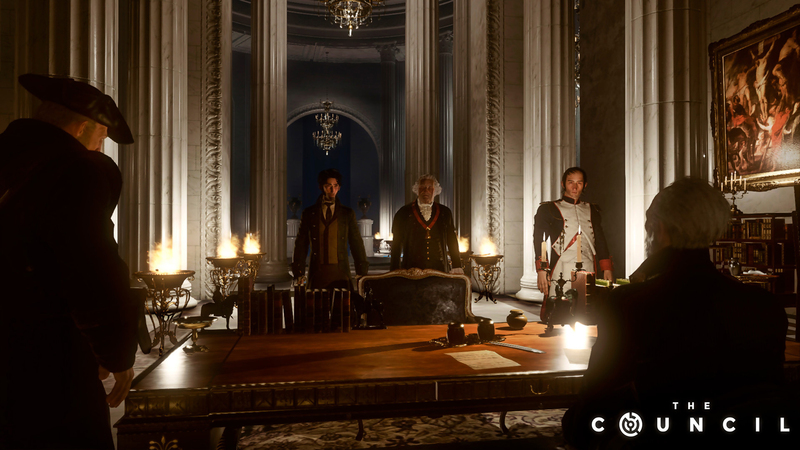 The Council: Ripples was published by Focus Home Interactive for the PS4, Xbox One, and PC on July 24th 2018. A copy of the game was provided by the publisher for reviewing purposes.